Problem 1: Let $ABC$ be a triangle, let a line $(L)$ through circumecenter and a point $P$ lie on circumcircle. Let $AP,BP,CP$ meets $(L)$ at $A_P, B_P, C_P$. 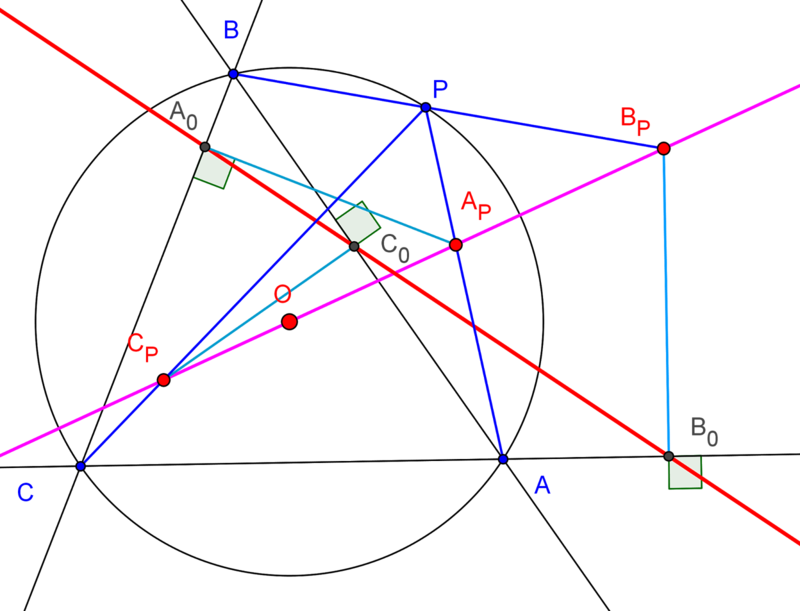 Denote $A_0,B_0,C_0$ are projection (mean perpendicular foot) of $A_P, B_P, C_P$ to $BC,CA,AB$ respectively. - When $(L)$ through $P$, this line is Simson line.